I. Love. Tokyo. Tokyo holds a special place for me because it was my very first solo travel destination back in September 2016. Since then, I’ve traveled all over the world (including BACK to Tokyo in October 2018), so if your looking for Tokyo MUST SEE and DO attractions from someone who’s seen a lot, then this is the article for you. Let’s get something straight: traveling to Tokyo isn’t just another vacation. For most of us in the west, it means traveling to the other end of the world and diving into a culture that is completely different than anything we’re used to. Do You Love Travel Pics & Travel Adventures? Follow Me on Instagram @batmantravels! The sites are unbelievable and the city definitely has a flare for the spectacular. That being said, even if this is your first trip to Tokyo, don’t be intimidated. The culture is a very warm and welcoming one. Trust me, in a metroplex of over 35 million people, you’ll never feel lonely. Every single photo and video in this article is taken by yours truly. 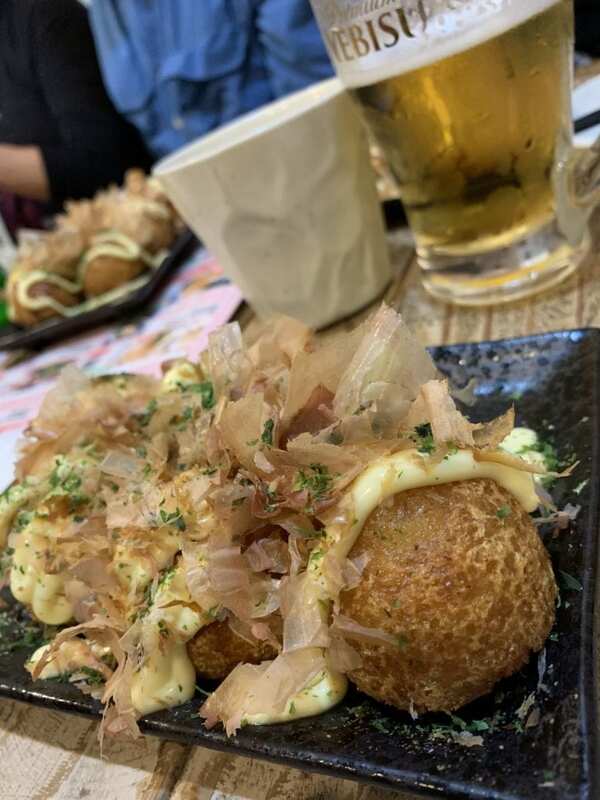 So as I’m making these recommendations for” must see” places to visit in Tokyo, you’ll know exactly what to expect from my own personal experiences to make the absolute best of your trip. So prepare for sensory overload as we take a virtual trip across the world to Tokyo, Japan. If you’re someone who’s addicted to traveling like I am, then you understand that the most expensive part of most trips is the flight. For this reason, having a service that alerts you of cheap flights is a MUST HAVE! I use Scott’s Cheap Flights for 100% of my travels. It is a completely FREE service that emails you several times a week alerting you of cheap flight deals. Scott’s Cheap Flights has saved me THOUSANDS! I’m not an affiliate for them, so this is in no way an offer I make money off of. They’re just the best cheap flight alert service I’ve found through all my travels, bottom line. You enter your departure airports and Scott’s Cheap Flights will do the rest. There is also a premium service that gives you first access to the cheap flight deals that is only a couple of bucks per month. Read My Scott’s Cheap Flights Review! 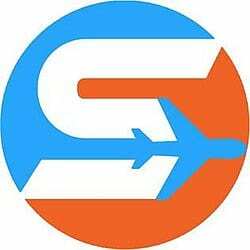 If a free cheap flight alert service is something you’re interested in, check out my full review and get yourself enrolled. When it comes to finding excursions, I’ve had really good experiences going through Expedia.com. All you have to do is enter the city you’re visiting, the dates you’ll be there, and then click on “Things to Do”. You’ll have a solid list of activities to choose from filled with descriptions, user reviews, photos, and more. So that’s exactly what I did when I booked my trip to Tokyo. Another traveler’s best friend for coming up with things to do that I’ve been using a lot recently is Visit A City. I use their iPhone app. 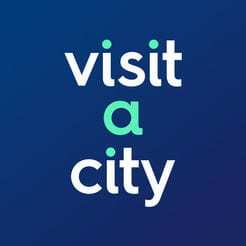 With Visit A City, you enter your destination, how many days you’ll be there, and the app will come up with a full day to day itinerary for you. Looking for what to do in Tokyo in 5 days? How about what to do in Tokyo in 3 days? No problem! You can choose from a jam packed itinerary, to an easy going one, and even to one that’s family friendly. So Here Are Your Tokyo Must See and Do Attractions! Here’s my list of the top things to do and see in Tokyo. They’re in no specific order, as it’s very hard to choose a favorite. As the grand finale at the end of the article is the trip video I made after my first trip which I hope you’ll really enjoy. Get your Robot Restaurant show tickets here. Located in Shinjuku, a very popular spot for Tokyo nightlife, the Robot Restaurant Show is very popular & has had celebrities from all over the globe attend it. When I found this excursion on Expedia I knew I had to book it. This is a spectacular show! Filled with all the crazy spectacle of bright lights, outrageous costumes, and insane action, this show did not disappoint! When you walk in, you arrive at the lounge where you can buy drinks and chill. Live music is performed by a beautiful singer accompanied by her group of rocking metallic robots while you wait to go downstairs for the show. When it’s showtime, you go downstairs several levels to the main showroom and find your seat. The middle of the room is where all the action happens and seating is on both sides. Watch the video at the end of this article if only to see this show in live action. It’s unreal. Trust me. Get ready for music, lights, singing, action, explosions, oh and plenty of robots! The show is NUTS and well worth the price of admission. This is an absolute must-see if you’re in Tokyo! Book your walking tour here. I booked this excursion for my first full day in Tokyo the first time I went. A walking tour through a Tokyo street market should be a great way to acclimate myself to my new surroundings, right? I was right. I met my tour guide around 11 am and to my surprise found out it was going to be just her an I on this tour. This tour was such a great time! 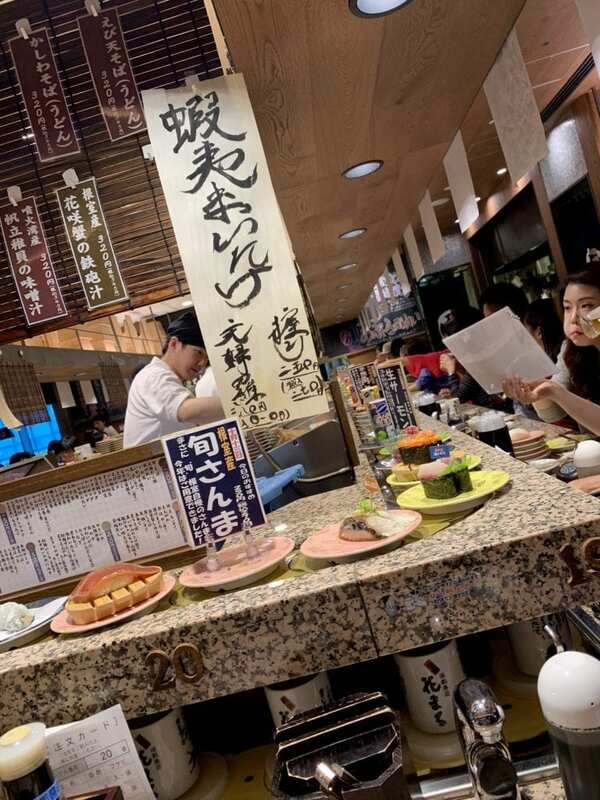 She walked me through the Sunamachi Ginza strip amongst the locals telling me all about its history as I tasted bite after bite of delicious Tokyo cuisine. Bring your appetite! I can eat a lot and by the end of the 3 1/2 hours I was completely full. We made several stops and I think I ate at every one. We took our time walking and eating as she told of how the locals live while giving me a history lesson about the strip itself. Along the walk I also got to check out a small shrine & go through a lesson on making green tea. By end of the tour I had a full stomach and a smile on my face. When it was all over she even helped me learn the subway which was PRICELESS! Book your Full Day Tokyo City Tour here. Definitely take the time on Expedia to look up the full day, 8 hour city tour to Tokyo. This is a must-add to your itinerary. You start at the Tokyo Tower. This bright red tower is modeled after the Eiffel Tower and is the world’s tallest self supporting steel structure. You have panoramic views of the entire city from 475 feet up. For those not scared of heights there’s also a cool view straight down as you stand over reinforced glass looking down to the ground below. If you’re like me, you’ll get so caught up in the Tokyo Tower gift shop that the tour bus will leave you behind (it actually did) and you’ll have to somehow flag down a taxi (I actually had to) to catch up to the tour bus and it’s next stop: Happoen Garden (true story). When I caught up with the tour at Happoen Garden, I found myself in a much needed serene garden with beautiful koi filled ponds. The tour guide said I didn’t miss a thing, and I was just in time to be a part of a traditional tea making ceremony by women who have been doing this for generations. Happoen Garden is a really cool place. After a traditional Japanese barbecue lunch grilled right in front of us, we made our way to the Imperial Palace Plaza which is home to the Japanese royal family. The actual residence is surrounded by trees, so you don’t get to see inside, but if you happen to be visiting on the couple of days a year they open the doors to the public for tours, you can walk right in. From there we took a quick river cruise along the Sumida River to the Asakusa district and made our way to Senso-Ji Temple. This temple is massive and beautiful. Every picture you take there is postcard worthy, so take plenty of them. You can also spend some time shopping for souvenirs in the popular Nakamise shopping district, but I was just fine taking in the sights in and around this huge temple. By the end of this city tour I was beat. It was a long, full day, but WELL worth it and I highly recommend it. This is an incredible excursion that takes you away from the skyscrapers and hustle and bustle of Tokyo & out into the beautiful area around Mount Fuji, Tokyo’s highest mountain and volcano. The Mount Fuji part of this full day excursion got fogged out. These kinds of things you can’t control. We made our way up to what is called the 5th Station where you’d normally get a great view of the snow capped mountain, but all we saw was a wall of fog. Thankfully, the second half of the day more than made up for the first half. We got to Hakone National Park and stopped for a great lunch. Afterward, we were off to take what turned out to be an incredible cruise on Lake Ashi. The skies cleared revealing the beautiful crater lake and jaw dropping sights. This cruise was AWESOME. We then hopped onto the Mount Komagatake Ropeway which takes you smoothly to its summit over 7 very scenic minutes. The views from the top are unbelievable. You’re literally eye level with the clouds and can hear a pin drop. It is serene and perfect. We spent an hour or so at the summit where I kept saying “Wow” over and over again as I took picture after picture. These pics don’t even do it justice. Watch the video at the end of the article to get a much better feel for how epic these views were. Mount Fuji, Lake Ashi, and Hakone National Park is a MUST DO excursion for sure. You get such a bang for your buck. Even getting fogged out with Mount Fuji couldn’t bring us down. I’ll never forget this day. Obviously, when in Tokyo, ENJOY SOME GREAT SUSHI! On the way back from my Full Day City tour excursion, my awesome tour guide mentioned that her very favorite sushi place in all of Tokyo is at the KITTE building adjacent to Tokyo Station. And when a local who works as a Tokyo tour guide tells you about her favorite sushi place, you go to that sushi place. This was a spectacular experience. When you arrive at the KITTE building which is right next to Tokyo Station, take the escalators up to the 5th floor. Now, take your number and wait. You can go downstairs and chill, peruse the different shops in the KITTE building, or even go outside to the rooftop terrace. In my case, the wait was around an hour and a half, but completely worth it. I FEASTED and it was very, very reasonable. As the plates go by on the conveyor belt you just grab what you like. When you’re done, get the attention of a server and they’ll count up your plates and give you your bill. The plates are priced by color. What would easily cost $100 in the US was barely $30 in Japan. You’ll probably see a line. This is a VERY popular spot and there will be a wait. No problem. There is a machine at the entrance where you take a number. This machine in 100% in Japanese so unless you speak the language you’ll need someone to help you. Let’s take a look into the nightlife in Tokyo, shall we? I’ve had nothing but great times finding spots to eat and drink all over Tokyo. Between Shibuya, Shinjuku, and Roppongi, you really can’t go wrong. Something that was surprising to me when I went to Tokyo the first time around is how popular English style pubs are. For some reason, I just didn’t picture English style pubs and bartenders serving Guinness in Tokyo. It seems like there is a HUB British Pub on every other corner in Tokyo. This spot easily makes my list of places to visit in Tokyo because of the fun I had there on multiple nights out during my very first solo trip. The fact is, I can’t think back on that first Tokyo trip without remembering my nights making all kinds of new friends at this pub. The HUB where I had my great nights in was in Shinjuku. 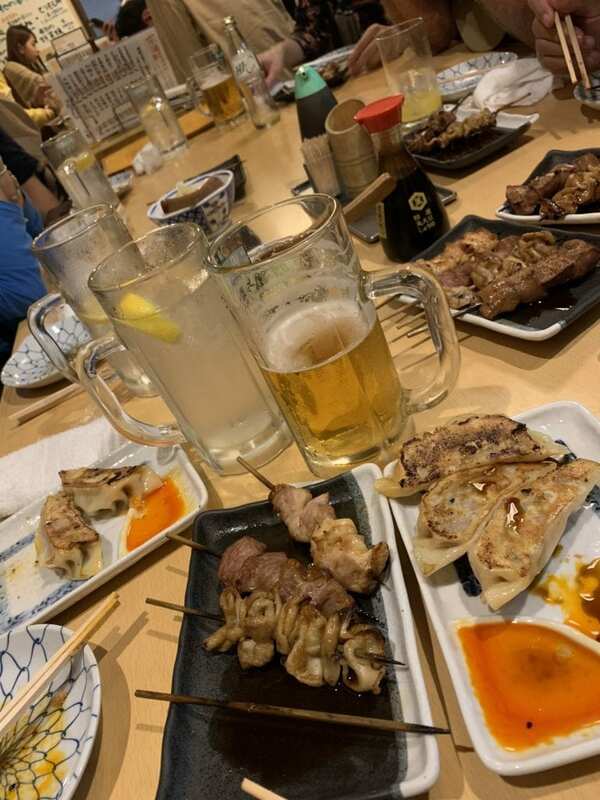 If you find yourself in the Shinjuku area looking for a great spot to have some cold ones, this is your spot. Find it on your Maps app, walk on in, order your beer from the designated spot at the bar, and tell them Eric sent you. I first found this pub after my night at Robot Restaurant. Guinness is my favorite beer, so when I saw the bright Guinness sign right by the big neon “English Pub” in the window, I couldn’t resist. Down the stairs I went to a pub full of patrons. There was plenty of beer being poured, plenty of shots being taken, and plenty of English speakers having a great time. Before I knew it I was part of a tequila party with a girl from London and her Chinese boyfriend. Our conversation about London brought over two London brothers who joined and started buying everyone sky high beers. Then another Londoner and his Thai wife joined us along with two great Japanese guys who barely spoke English. Doesn’t this sound like the coolest pub ever? We had a great time for HOURS. I can’t promise you’ll have all the adventures we had that night, but HUB is definitely a good spot to stop into for a cold one. And while we’re talking about English style pubs in Tokyo, I MUST mention an absolute fave of mine that I stumbled upon during my last trip to Tokyo: the Aldgate. This is such a comfortable spot with great ambience. With a great selection of craft beers on tap, delicious food, and the coziest atmosphere, if you love a classic English pub and craft beers, the Aldgate is for you. The owner is really cool, too. By my second visit, he already remembered me and knew I start with a Guinness. He speaks perfect English and knows how to make you feel at home. He even let me walk in early as I didn’t know they opened at 5. Once you know where it’s at, it’s easy to get there. Look it up in your maps app. When you get to the building you’ll see stairs and an elevator further down. The easiest way is to take the elevator to the 3rd floor, turn right out of the elevator, and walk in the door. If you’re lucky, the owner will be playing some records from his personal & VAST collection of 70s classic rock. Order the fish and chips, kick back with a great craft beer, and enjoy. My favorite memory there was when I walked in late one night, around midnight, and the owner was there with a couple of his friends and they were just kicking back listening to records. He was playing this chill, ambient music, and it was a PERFECT way to end my night. Book this awesome pub crawl here! This was a BLAST! It was a small group of about 8 of us, 10 including our guides K and Leo. We went to 3 of the coolest little pubs in Shinjuku and Ebisu. These are spots I would have never found on my own! We walked through a very popular street filled with tiny pubs on each side. Most of these places only sit around 5-6 people, but they are lively, and everyone is having a great time. Plus the street itself is an incredible sight and very instagram-ready for photos. Our awesome, eclectic group had the best time getting to know each other throughout the night. I never thought I’d be drinking with judges and lawyers from Hawaii and California along with an Australian in tiny pubs in Tokyo! Our guides were great, we had an amazing time, and it really made my night! I highly recommend this experience in Tokyo! You’ll absolutely enjoy it. I couldn’t have said it better myself. Every few minutes the traffic stops and this scramble crossing (very appropriately named) is completely inundated with around 2500 people all crossing at once and from every direction. I literally spend a full hour going back and forth on Shibuya Crossing taking picture after picture and video after video. You’ll never get bored of experiencing this. If you’re more of the “sit back and people watch” type person you can try to snag one of the very popular window seats at the Starbucks that’s overlooking the mad scramble. Grab yourself a coffee and a shack and you’ll be completely hypnotized by the mass movement of people every few minutes. It’s a very memorable way to spend a chill afternoon/evening in Tokyo. Putting a day trip to Kyoto in my top places to visit in Tokyo may be a bit of a cheat. But the fact is, if you’ve gone this far, make the trip! And do it in style on the bullet train. This is one of the most comfortable ways to travel. Watch the scenery fly by at 200 mph with plenty of leg room and hardly a bump along the way. Buy your trip tickets here. So after a good half hour of screaming “Whyyyyyyyy?!? !” I took a closer look at the ticket. “This ticket is good for one full day.” Whew! I could still make my day trip, I would just have to sit in the open seating cabin. So there I went, alone to Kyoto. With no group or tour guide, I got to explore the city on my own. It was peaceful, serene, and I LOVED it. The original itinerary had on its schedule the exploration of 3 famous Kyoto temples—Kinkaku-ji, Ginkaku-ji, and Kiyomizu-dera. With no group to go with and no Uber at the time, I took a look at my Maps app and saw that Kiyomizu-Dera (the biggest temple on the itinerary) was walking distance from the train station. 25 minutes with a McDonalds along the way. I could do that. The Kiyomizu-Dera Temple was well worth the 25 minute walk. It’s filled with incredible shrines that are ornately designed. You seriously won’t be able to put your camera down the entire time. I wanted to take pictures of everything. I was so glad I made it to Kyoto. This temple alone was well worth the trip. The Tokyo Skytree is a spectacular way to see Tokyo from high in the sky! It’s the second tallest structure in the world behind Dubai’s Burj Khalifa at 2080 ft. In my opinion the first observatory deck (Tembo Deck) gives the best views. With a view from 1,150 ft up, you have a large area to walk around and there are several large touch screens that give you a computer simulation of what you’re looking at. You can change the view to night and zoom in as well. Grab yourself an ice cream or even have some champagne and dried fruit while you sit back and look out on the never-ending Tokyo metroplex. Additionally you can make your way up to the smaller Tembo Galleria. At 1,450 ft, the Tembo Galleria is as high as you can go in Tokyo. Buy your Walking Tour tickets here. Don’t underestimate this awesome walking tour. You’ll explore ancient Tokyo on a guided tour of the historic Yanaka district. This area dates back to the 16th century! You’ll start the tour walking through a scenic cemetery while being told of its incredible history and the Japanese beliefs and traditions that go with it. Our guide was awesome at story telling and really brought that cemetery to life. The stop at the Nezu shrine is a great one! Established over 1900 years ago, it’s one of the most underrated shrines in Tokyo. DO NOT MISS YOUR CHANCE TO WALK THROUGH THE TORII GATES! The walking tour ends in the Yanaka-Ginza shopping street. We helped ourself to some delicious food and beer while continuing our walk. You’ll get a real feel for the neighborhood as you take in the sights of the shops and nostalgic boutiques. I went to Shibuya for my last day on that first trip to Tokyo with no real plan for what to see. I had no excursions planned, just a chill day of sightseeing. My great day in Kyoto the day before had me in a chill, exploring mood. As I walked the streets of Shibuya I came across a sight you’d only see in Tokyo. Here was Godzilla Road, and at the end of the block, in all his glory, was Godzilla himself peering over the top of the Toho building. When you watch the video at the end of this article you’ll see why it’s such a sight to see. I decided to make my way up to the roof of this hotel to take a closer look. While access to the balcony is supposedly restricted to hotel guests, it’s not enforced. So be a rebel and get out onto that balcony, it’s worth it! As I was up there taking pictures I noticed a sign that said that every hour on the hour Godzilla lets out his ferocious roar. I looked at my watch and it was 11:50 am. The first roar of the day according to the sign: 12 noon. Perfect! A short ten minutes later, the King of the Monsters let out his awesome roar accompanied by lights and smoke and I got the perfect shot. Don’t leave this out of your agenda when you visit Tokyo. It’s awesome. Price: Pricey but worth it. There is no better way to close out your trip than from the 52nd floor high atop the Park Hyatt Tokyo at New York Bar. Overlooking the cityscape through huge windows stretching from floor to ceiling, you will love this posh spot. I closed out both of my Tokyo trips at New York Bar. There is simply no better way to do it. Sit back and feel like a million bucks while listening to smooth jazz and the looking out onto the never-ending Tokyo cityscape. Personally, the best part of this whole experience is that this bar is part of the reason I first fell in love with Tokyo. Have you seen Lost In Translation with Bill Murray and Scarlett Johansson? This bar is heavily featured in that movie! And that movie is the entire reason I wanted to make my way to Tokyo. Now, every time I visit, this is how I close out the trip. If you haven’t watched this movie, go buy it NOW. You’ll want to leave for Tokyo tomorrow. New York Bar is pricey, but you won’t regret it. They charge 2400 yen ($24 USD) as a cover charge if you’re not staying at the hotel. Sit back and enjoyed the ambiance for as long as you like. You won’t want to leave. So if that wasn’t enough to get you to want to take a trip to Tokyo, how about bringing all that to life in video? I made this video after my first trip to Tokyo and it’s worth the watch just to see the spectacle of the Robot Restaurant in live action alone. Watch and get the full experience of the food and drink walking tour, the beauty of Happoen Gardens & Lake Ashi, the serenity of Kyoto, the fun tequila party at HUB, and the views from atop New York Bar. Grab some popcorn, sit back, and enjoy. I promise you’ll want to leave to Tokyo TOMORROW after watching this. Tokyo is AMAZING! Filled with bright lights and 35 million people, you won’t run out of options when it comes to places to see and things to do. The people are welcoming and their cultures is a proud one. Take the time to not only experience the hustle and bustle of the city, but get out to the beautiful mountains and lakes! Take my recommendations and have the best time ever! For me it all began when I turned my laptop into my office. Consider this my personal invitation to join the training community that I call home. Start your FREE TRAINING today! If it’s for you, dive in for less than $1/day with me as your coach. Are you ready to take off on your Tokyo adventure? Have I succeeded in giving you major wanderlust for Tokyo must see and do attractions? What part are you looking forward to the most? Have some specific questions about a particular excursion? Ask away! Leave any questions or comments you have in the comments section below. I love hearing your stories and I always respond. I hope you enjoy Tokyo! Here’s to wanderlust! Wow, this is an awesome post. I am currently preparing my 9 week trip to Japan and only have the major out lines. Your post has been bookmarked to review again when I book my Tokyo tours. So glad to help! Your 9 week Japan trip sounds like it’s going to be amazing! I’m jealous! Eric, I have to say that looks like an absolutely AMAZING trip. My son is in high school and he is taking Japanese, he is in his second year currently. He wants to take Japanese all four years and then go on the Senior trip to Japan. I have been checking out some blogs already even though the trip is about 18 months away. Now I am thinking about going along as a chaperone! Not only to keep him out of trouble but man that looks like an incredible city. I love the picture of the city you took from way up high, that is spectacular. And you even got the girl! How much is an average meal? I know prices in Tokyo are pretty high, but I am curious what a lunch or dinner will run. 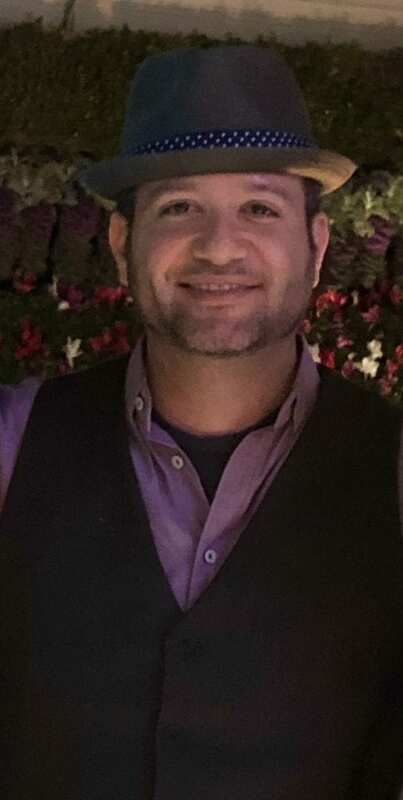 Love your blog, keep up the great work. Thanks for the great comment, Steve! In my experience, Tokyo isn’t expensive at all. Everything in Tokyo is pretty reasonably priced. And if you love sushi, it’s spectacular and cheap! Thanks again for chiming in! What a comprehensive review of Tokyo as a travel destination! I have got to put it on my Bucket List. How much in U.S. dollars will it take to spend a week in Tokyo? I’m also interested in knowing what your experience was with law enforcement and government officials. What about safety? Thanks for getting me excited about a trip to the Orient. How much you spend depends completely on you. And there’s no issue with police or government officials at all. It’s no different than being in NYC or Dubai. There are tourists everywhere from all over, so safety is never an issue. Very thorough and well design article. This article could help someone learn not just about traveling to Tokyo but also the culture of it (such as the image of the Nezu Shrine). I really appreciate the references to different services (Scott’s Cheap Flights, etc) that would assist someone getting there. Sometimes people tell you they enjoyed their trip but never mention what they used to get it! Very glad you enjoyed this! And yes, Scott’s Cheap Flights is my go-to for all my travels! Wow, this is a great review. Being a travel blogger myself, I have to say you are doing it right! I yet have to be in Tokyo, and your post gives me a bigger itch to go there. I must plan a Tokyo getaway soon and I will try your must see and do attractions in Tokyo. Happy travels! You’ll love Tokyo! Tremendous article Eric, I travel A LOT! mostly in Asia, the South East. Japan has been a big love for me! not quite made it there yet. reading this just makes me wanna jump on a flight to the land of the rising sun and go, go GO!. Defo gonna check out Scotts Travel, probably end up saving a ton on flights with them. Usually, I book direct or Skyscanner. Scott’s Cheap Flights is a game changer for sure 🙂 Glad you enjoyed this! I have read your article very attentively and it is really helpful to me. You have mentioned a travel blogger’s guide here and I really looking for Tokyo must see places. You literally have saved my travelling cost because in your article you have suggested the cheapest flights. I heard a lot about the Robot restaurant show but I was not aware about the price of it. Photos that mentioned here cleared my idea about this. Tokyo Tower is the another attraction for me. From this tower I can get a great view of the entire city and the cost is on average that I can bear it. I love the Chinese food a lot and you have mentioned a restaurant of very reasonable price.I really appreciate your writing and thank you very much. Very glad to help! The Robot Restaurant is a MUST and you won’t ever forget it. Thanks for the comment! I love traveling and my dream is to travel around the world! Tokyo is one of the places high on my bucket list! I love the pictures you posted from the conveyor belt sushi. I will love to be there! Thanks for this! I also appreciate the cheap flight company you introduced me to so as to make it easier for me. Thank you! I think you’ll absolutely enjoy it. And yes, Scott’s Cheap Flights is an amazing cheap flight alert site that I use religiously. Enjoy! I. Love.Tokyo.Too! Even though I have never been there and reading of your experiences just has me so green with envy, I think I might turn into the Hulk!! Your list of Tokyo’s must see and do attractions seem like so so much fun. The city tour sound very interesting and as a food lover that “strip walk” would be a must for me. Anyway, beautiful pictures, great guide and thanks for all the useful information. My interested in visiting Tokyo has been renewed again! Once you visit, you’ll never be the same 🙂 I love that city and as a foodie you’ll absolutely love it. Thanks for the comment! However, I couldn’t pencil down one. There are just so many things to do in Tokyo, and would love to do all. You must have had an amazing experience, no wonder you had to come back. Must have spent months in Tokyo to experience all this, thanks for letting me share in your fun. Hope to visit Tokyo someday too. Tokyo is all about sensory overload! Thanks for the comment! I have been to Tokyo only once and enjoyed the experience immensely. I did spend more time in Osaka for business and that was nice too, but Tokyo is a place I want to explore more the next time I get there. I do have a business trip coming up soon, so wanted to refresh myself on things to fo while there. This is how I ended up on your website, and I am glad I did find you! The many things to see and do that you have included is more than enough to keep me busy and entertained while there for sure! I appreciate that a lot, as it saves me time from having to look further. The main selections I will key on include the following 3 activities: The Robot Restaurant Show, the Sunamachi Ginza Food & Drink Walking Tour, and lastly the Tokyo Full Day City Tour…I have a few days so will want to leave some time open for other things, but these three will be part of this trip. Thanks a ton, really enjoyed your pictures and writeup! I’ve wanted to venture out to Osaka as well! Very glad you enjoyed this. I think you’ll absolutely love the Robot Restaurant Show! Take care and thanks for the comment! Wow I love the pictures! You really had a lot fun! I have heard how amazing the city is with its diverse cultures different from other parts of the world and it’s the main reason I’ve been wanting to go. It is a dream I have! I would love to experience this beautiful city and experience the beautiful places you mentioned here. Thanks for sharing us your experience in Tokyo, Japan. Tokyo is an absolutely amazing city. I’m really glad you enjoyed this. I hope you make it out there! Wow ! This is EXACTLY what I’ve been looking for! Thank you! I have seen and read a lot about Japan. This post has really done the city justice! I’m so happy you included the info and pictures about the walking tour into the historic city areas. Tokyo as a ancient city truly has many wonderful spots that will definitely give give you a feeling of nostalgia. I can’t wait to go! Thank you! Very happy you enjoyed this!